When buying a smartphone, an average Indian tends to research more thoroughly than IIT. That enthusiasm dies down a bit when it comes to choosing home appliances such as fridge, AC, other boring stuff. Worse still, there’s hardly any awareness about smart home and security gadgets. That’s mostly because early products were prohibitively expensive and reliable Internet connection was hard to come by in our country. However, slowly but surely the things are changing. Internet connectivity in India is getting better and more affordable every passing day. I guess that’s about the right time for me to recommend a few handpicked products that can make your life safer and more convenient. Since we don’t want you to get stuck into any ecosystem, we are strictly recommending products that do not rely on additional hardware such as smart hubs. All you need is a wireless Internet connection. 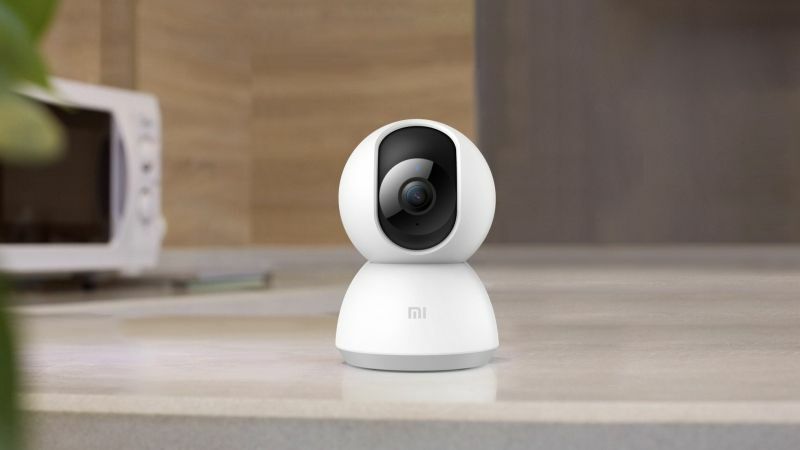 Xiaomi is known for producing value products, and this home security camera is no exception. Dubbed as the Mi Home Security Camera 360, this gadget is packed with features. As its name suggests, it can fully rotate to offer 360-degree vision. It can broadcast a Full HD video stream. Moreover, it is equipped with an infrared sensor for night surveillance. Using the companion app, you can start or stop video recording. The camera also comes with motion detector that quickly triggers a camera and sends you a notification right away. Thanks to the two-way audio communication, you can watch over your pets. The best part is that you don’t require technical skills for the setup. Power up the device, install the Mi Home app, and simply display the code generated on your phone to the security cam. That’s it! Based on your requirement, you can place this security camera on a table or install it inverted on the ceiling. Fine, this is not the best-looking smart plug in the market. However, it got a spot on this list due to its ability to handle 15A electric current. 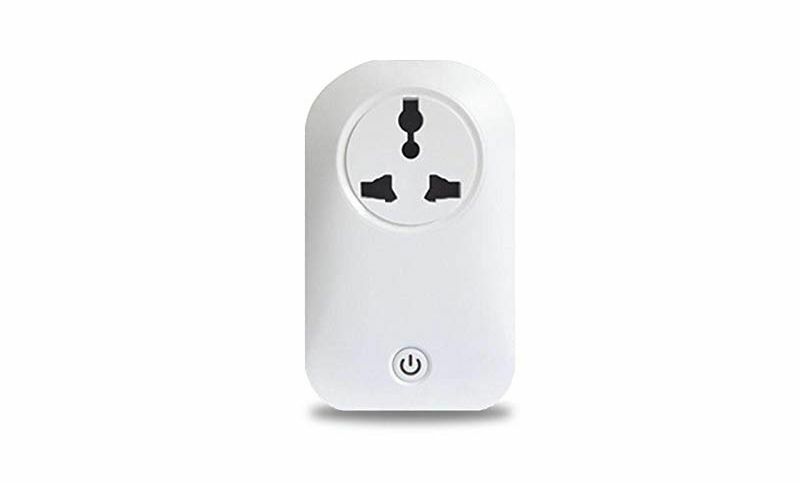 Regular smart plugs are simply meant for lazy bums who don’t wish to get off the bed to turn off a lamp. This one is more useful than that. Hook it up to power hungry devices such as AC or geyser. And whenever you think you forgot to switch off the geyser in a morning rush, cut the power remotely from your office. There’s even an option to create a schedule or timer for your appliances. The setup is straightforward thanks to a companion app. The plug is compatible with Amazon Alexa and Google Home. Overall, it is an easy way to add a bit of smart to your appliances without making any changes to your existing wiring. You can thank Philips for introducing smart ambient lighting. Its Hue lighting range is quite excellent. But, it relies on a bridge that costs around Rs 6,000. That’s why we prefer a dirt-cheap solution from Wipro. The domestic brand’s Garnet smart bulb can directly connect to your Wi-Fi and can be controlled via a smartphone. 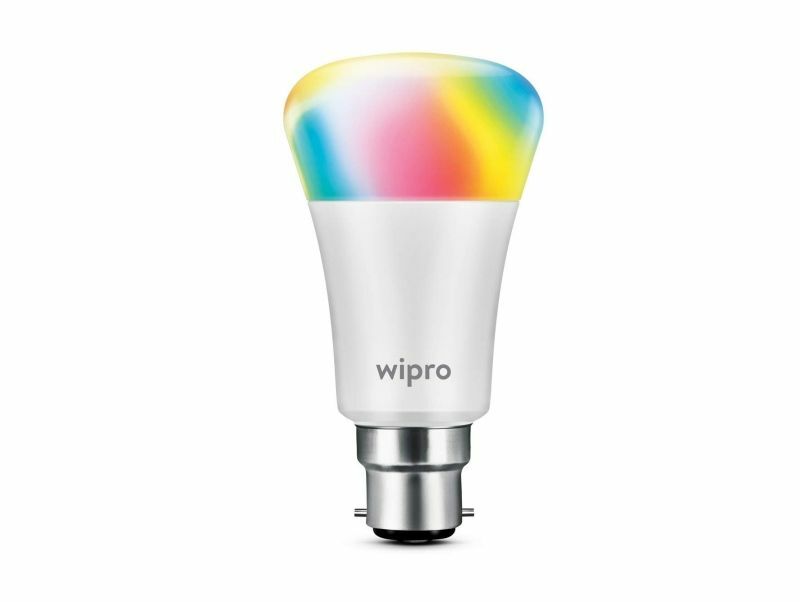 Using the app, you can make the bulb render a color of your choice. Of course, you can fine tune the brightness right from your smartphone. The Wipro Garnet is compatible with Amazon Alexa and Google Home. And I guess, everyone knows how to screw a light bulb. Keep in mind though, that this bulb fits in a B22 holder. If you are planning get it for your table lamp, you will probably need a B22 to E27 adapter. These hardly cost Rs 100 in a local hardware store. 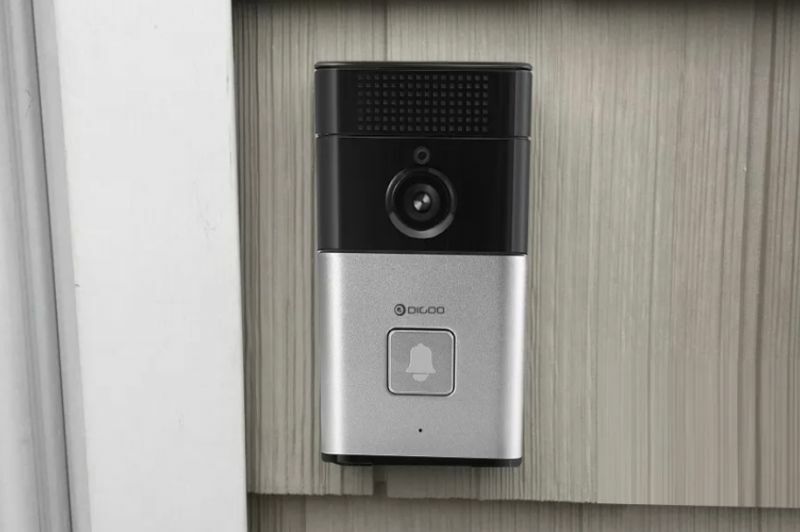 I was never a fan of video doorbells because if I wanted to check on the person outside my home, a simple eyelet did the trick for me. However, recently I realized that new smart doorbells can beam the visitor’s face right on to your smartphone. So, if my boss is paying me a visit on weekend, I don’t even have to walk up to the eyelet. Now, that’s something worth investing in! Unfortunately, finding a good Wi-Fi connected doorbells on Flipkart, Snapdeal, and Amazon India is almost impossible. Don’t worry though, as we have found a great deal on Chinese website Banggood. I know Digoo brand doesn’t sound very promising, but it is a well-built product that comes with a classy metal body. This smart doorbell can auto record a 10 second clip every time someone rings a bell. There’s also an infrared sensor to help you see in the dark. If a delivery person comes to your doorstep while you are away, you can use the Digoo doorbell’s two-way communication to give him instructions. We all stumble on our late-night trip to a refrigerator. Thanks to Xiaomi, you won’t have to find a light switch in the dark. 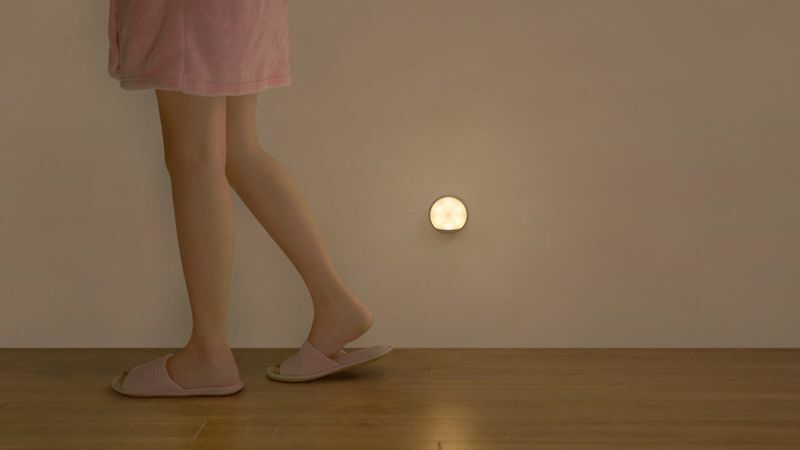 The Chinese company’s Yeelight Nightlight can illuminate simply by sensing your motion. Its infrared sensor can pick up a movement at up to 7 meters. This Nightlight remains on for 15 seconds in auto mode. Of course, you can choose to keep it on for a longer time. The lamp has a nice minimal design. Using the adhesive back, you can stick this lamp onto walls, stairs, or cabinets. It is equipped with a hook should you choose to hang it somewhere. It also houses a magnet, which easily snaps on to a fridge. This particular model comes with a 750 mAh rechargeable battery. Xiaomi claims that this lamp can last up to 120 days on a single charge. There’s also a cheaper model that draws power from three AA batteries. If any product on this list is unavailable, let us know in the comments section and we will find the best possible alternative.